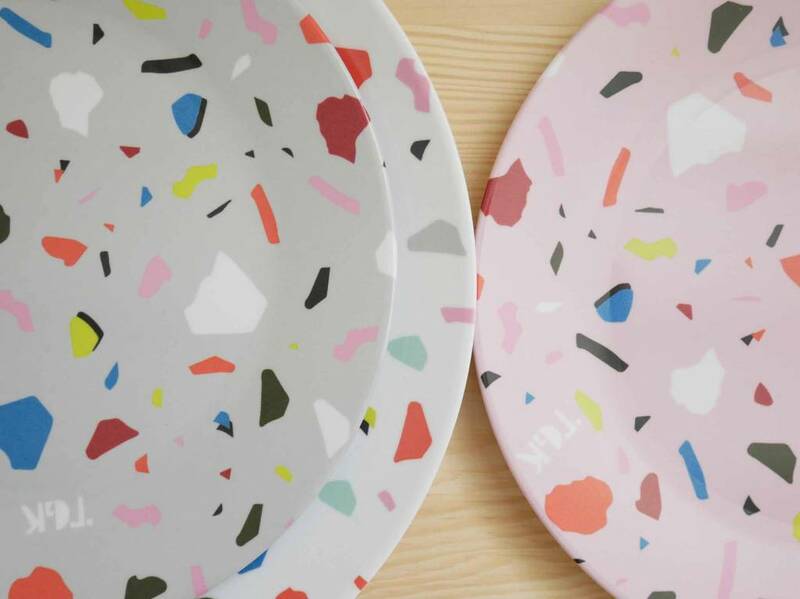 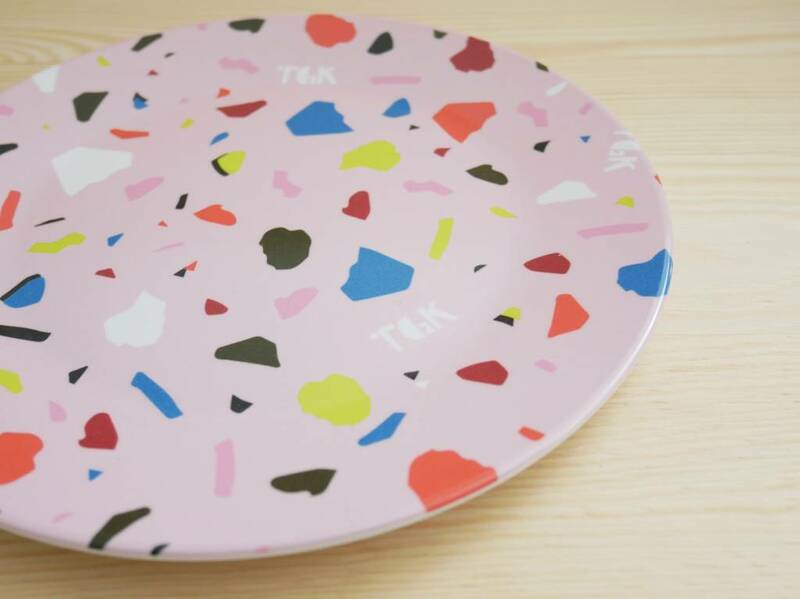 Cute melamine plate with colorful terrazzo print. 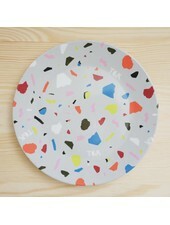 Dishwasher safe and tasteless and odorless. 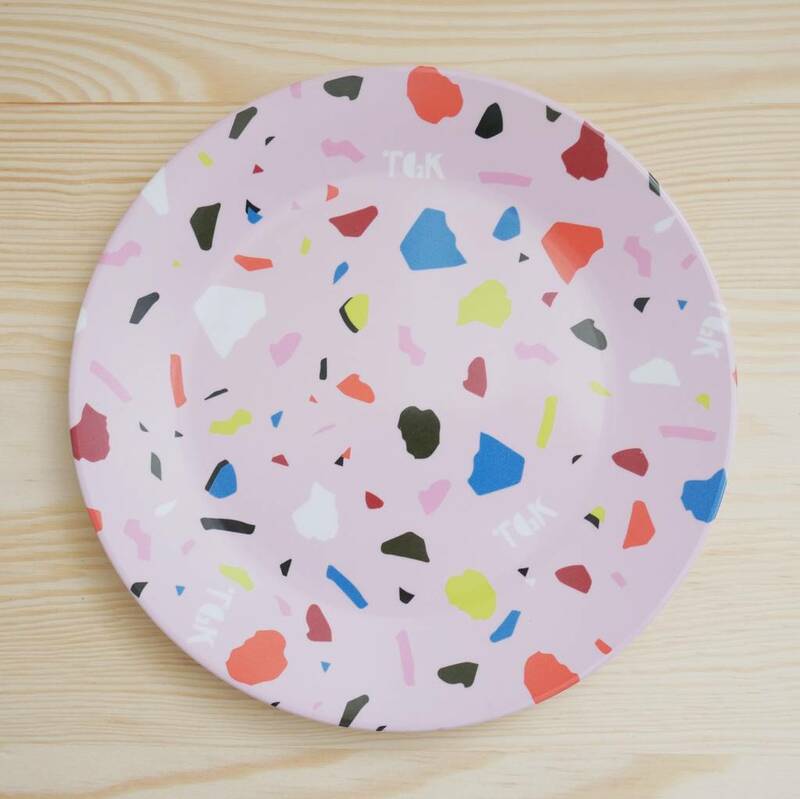 Particularly durable and resistant to breakage. 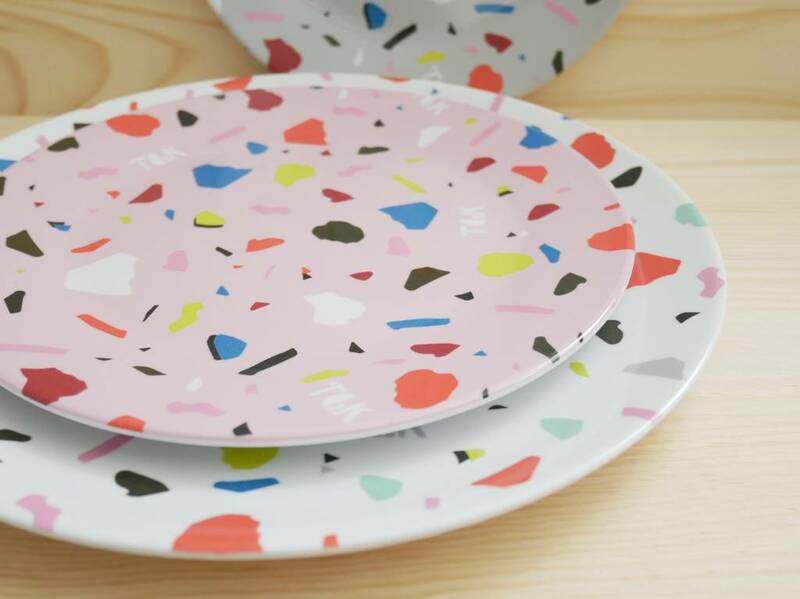 Note: Melamine products are not suitable for use in the microwave.